Manager Vicky Jepson headed to West Derby with star striker Courtney Sweetman-Kirk and midfielder Niamh Fahey to meet pupils at Broughton Hall Catholic High School. All three took part in a question and answer session with GCSE students, who had prepared questions for them, before leading a coaching session at the school. Jepson said: “It was great to go back into schools and help inspire young females to be involved in the beautiful game of football. 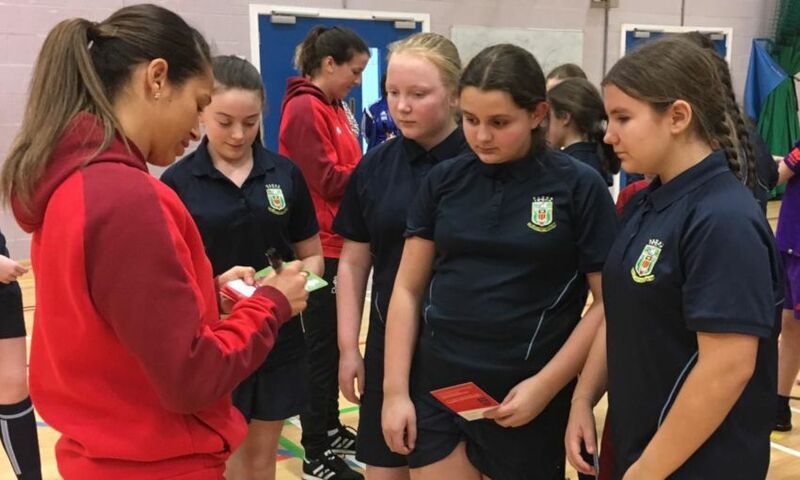 Liverpool Women’s Academy manager Julie Grundy also went back to school, taking part in a talk and Q&A with Year 7 and sixth form pupils at Rainhill High School, alongside entrepreneur Emma Spruell. The Liverpool Women players were back in training today ahead of their home game at Prenton Park against Chelsea FC Women next Wednesday night (March 13), with kick off at 7pm.